The beauty of fresh fallen snow. I like how the tree branches frame the snowy scene in this photo. 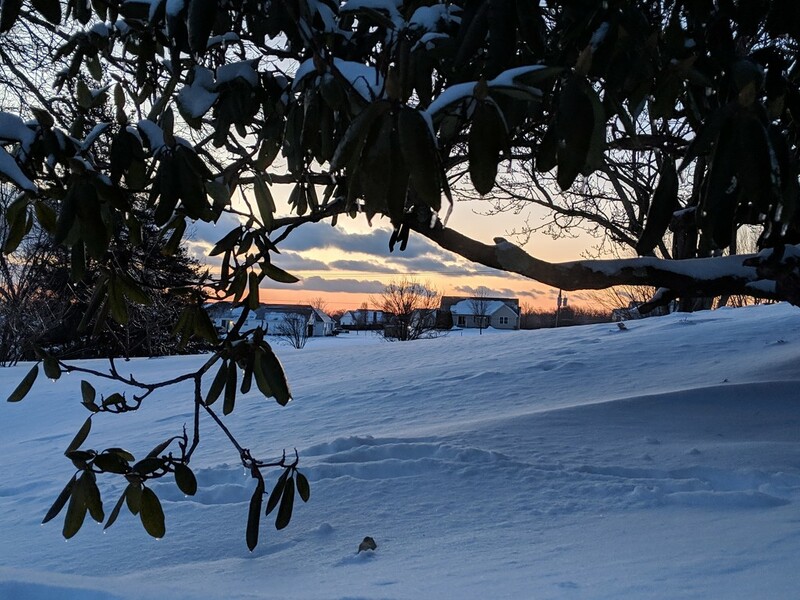 I like the colors of the setting sun and how the snow blankets the ground. This photo turned out better than I had hoped.